Over the past few months, financial markets have suffered from remarkably low trading volume – on many days as much as 70% of total volume was the result of automated computer (so-called “black box”) trading systems. There is an old prognostication in the markets that investors are best-served if they “sell in May and go away.” Since most traders take time off in the summers for family vacations or the rest and relaxation that recharges them before fall, this makes sense. However, this summer has been unusually slow. Coming into the summer, there was widespread fear among investors that the markets would suffer a pullback that could lead into a rough fall. To the detriment of many who shorted the market, just the opposite has occurred. Over the past several months – and especially the last few weeks – markets have moved steadily higher, forcing the hands of many investors who have had to cover short positions. Technical aspects of the markets aside, we consider the last several weeks and months to be extremely revealing about the next several months as the US progresses through election season. Historically, the world’s financial markets tend to serve as leading economic indicators that predict major developments by about six months. Given markets’ activity – along with poll numbers that show a total lack of engagement among our nation’s Democrats – it seems the mass consensus among investors is that this election is a foregone conclusion. Already the markets are predicting a stronger economy built on a more agreeable business environment, coinciding roughly with Romney’s inauguration and the first months of his presidential term. As the markets’ mass number of participants have become more confident of Romney’s victory and the positive impact his policies will have on business, equity investments have trended steadily with an improving outlook. Just last week the Dow Jones Industrial Average reached new post-crash highs. If the markets – or, more appropriately, our interpretations of their recent strength – are correct, Romney’s election will have a number of effects on the economy and the financial markets going forward. Without question, employment numbers in this country will improve. One of the biggest obstacles to curbing unemployment under the Obama administration has been companies’ lack of certainty on the impact policies will have on their bottom line. Being unsure of the true cost of new employees given things like Obamacare, most employers have instituted hiring freezes. Because companies have refused to expand payrolls or facilities, many have reached their productive capacity. This has translated into unusually slow GDP growth. Under Romney, as companies gain some degree of certainty on how policies will affect businesses and build new facilities, hire new employees, expand product lines, etc., GDP growth will escalate tremendously. This quickening GDP growth also hints at how economic problems will change under Romney. Far from the current worries about sky-high unemployment or tortoise-pace GDP growth, the tremendous economic growth markets are anticipating under Romney could lead to other concerns, most notably inflation. As GDP grows and money begins moving through the US economy more rapidly – what is known among economists as rising “velocity” of money – a number of things are likely to occur. For instance, companies and individuals will likely increase borrowing to finance productive investments (and consumer spending as well). Prices and interest rates will likely increase as companies undergoing expansion compete more and more for the same pool of resources. All of this translates into inflation for the US economy, and gone unchecked it can become a serious concern – just as it was in the last years of Carter and very early portion of Ronald Reagan’s first term. It also spells disaster for the bond market, since bond values fall as interest rates rise. In fact, right now bonds appear poised to undergo a correction as painful if not more than real estate did in 2007-08. Overall, the pain may not be all that great if wages rise in tandem, as they appear poised to do. 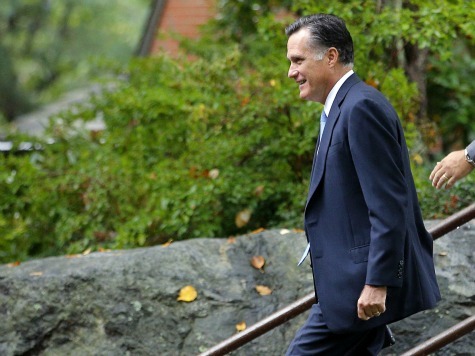 However, only time will tell how things will develop under President Romney. Dock David Treece is a partner with Treece Investment Advisory Corp and is licensed with FINRA through Treece Financial Services Corp. He provides expert content to numerous media outlets. The above information is the express opinion of Dock David Treece and should not be construed as investment advice or used without outside verification.